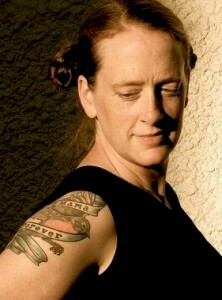 Ellen Marie Hinchcliffe is a poet, performer, videomaker and loving Auntie. Her performance work includes: Dirty the Bones- On being white and other lies commissioned as part of the Naked Stages program, Death’s Daughter- a love letter, a prayer for Mama that premiered in 2010 at Pangea World Theater in Minneapolis and her recent collaboration with Gabrielle Civil for Bedlam’s 10 Minute Play Festival- From the Hive. Ellen’s video short, Art Letter premiered on Twin Cities Public Television in December 2010. She is currently working on a documentary about the late, great writer/thinker Paula Gunn Allen. Ellen is honored to be collaborating for the first time with Juma B. Essie who also happens to be her husband and best friend. Juma B. Essie is a playwright, performance artist, video maker. In 2008 he performed his piece 2Real 2Be Free as part of the Naked Stages Program for emerging performance artists. 2Real 2Be Free explored race, healing and the search for authenticity. Juma’s video work has screened at Translations film festival in Seattle, and most recently his short, “Can You See Me Now?” screened as part of Soul Night curated by Gabrielle Civil in Mexico City. In 2009 he was a Jerome Many Voices fellow at the Playwright Center. An avid reader, gardener, hi-fi enthusiast, and brewer, Juma is originally from New Jersey and spent his adolescence in Detroit. He moved to the Twin cities in 1999 where he lives with his wife and too many cats. Sun Mee Chomet. Nov. 12, 2011.